David Campbell (PhD) is a contributing faculty member in the College of Health Sciences at Walden University. Dr. Campbell started at Walden University in the fall of 2015. 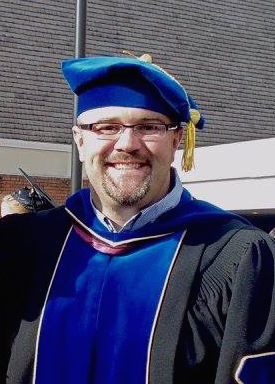 He holds a BS in Health Education from Virginia Tech, an MA in Health Education and Promotion from East Carolina University, and a PhD in Health Promotion from Virginia Tech. He has worked in higher education for over eighteen years. He has held academic appointments at three different institutions and an administrative appointment at one. David has also supervised student research in variety of Health Education, Health Promotion, and Public Health related areas. Additionally, Dr. Campbell has worked as community health specialists (specializing in adolescent pregnancy prevention programming), a college coach, and served as a public school educator. David has multiple peer-reviewed publications, received over one point five million dollars in grants and external contracts, and has been an invited speaker at over seventy five state, regional, national, and international meetings.